French carmaker Peugeot will showcase the new Peugeot 208, and the Peugeot Sport Engineered 508 Concept at the 2019 Geneva Motor Show, in Switzerland. The show will take place from March 7 to 17, at the Palexpo, Le Grand-Saconnex. Two world premieres will be revealed to the general public: the new Peugeot 208 in its internal combustion and electric versions; as well as the Peugeot Sport Engineered 508 Concept, which brings high-performance electrified line of production vehicles developed by Peugeot Sport, said a company statement. Peugeot will also be presenting its new Plug-in Hybrid petrol engines on the Peugeot 3008, 508 sedan and SW, it said. The electrification of the brand will also be emphasised by an iconic lion that becomes electrified on the stand. Visitors will be able to discover the star of the last Paris Motor show with the Peugeot e-Legend Concept, a true embodiment of the vision of an optimistic and ultra-desirable 100 per cent electric, autonomous future, connected by Peugeot. In Geneva Peugeot will be presenting the new Peugeot 208 which follows one of the brand’s best sellers. Because in the era of the energy transition, the choice of shape dictates neither the use nor the engine power, the new Peugeot 208 will be offered with a choice between three energies from its launch: 100 per cent electric, petrol or diesel. This new generation of the Peugeot 208 perfectly enshrines the upgrading of the Peugeot brand and asserts itself through its trim design, inspiring youth and energy. Inspired by the Peugeot Fractal concept car, the new Peugeot 208 features a new and unprecedented generation of the Peugeot i-Cockpit with a 3D head-up combo and a range of driving aids from the upper segments. The Peugeot 208 is surfacing at the heart of the B segment by contributing to what is the Peugeot range’s success today: assertion through design and differentiation through innovation and technology. Super-connected with the Mirror Screen function and the connected TomTom Traffic 3D navigation, the new Peugeot 208 is also extra-secure and includes the latest generation of driver assistance equipment, at the best level of its segment, with the new Drive Assist that paves the way to semi-autonomous driving. Available from the launch, the new Peugeot e-208 offers a stimulating driving pleasure thanks to its 100 per cent electric engine power with a power of 100 kW (136 hp) and a 260 Nm torque (available from 0 km/h) for immediate reactivity. The new Peugeot e-208 displays immediately recognisable external markers: a grille in the same colour as the bodywork; dichroic lions (a process that changes the colour depending on the viewing angle); an "e-208" monogram on the back and the letter "e" on the rear fenders. 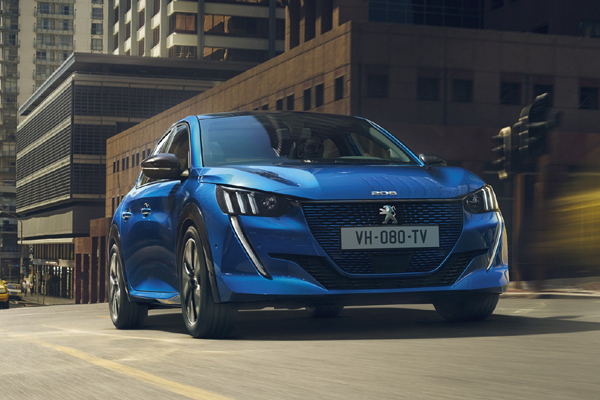 The Peugeot Sport Engineered 508 Concept heralds the powerful electrified line of production vehicles developed by Peugeot Sport, it added. Derived from the radical Peugeot 508 Hybrid sedan, the Peugeot Sport Engineered 508 Concept has enjoyed a specific stylistic and athletic treatment. Aerodynamics have been worked on for optimal efficiency and effective performance: sharper front bumper, sharpened grille with floating blades, rocker panels equipped with flaps, fins on the rear quarter panels, new diffuser at the back. The 'Selenium Grey' shade, which varies depending on the light thanks to its pearl particles, is associated with 'Kryptonite' inserts, which signify the concept's adherence to this sporty and efficient line. Entrusted to the expertise of Peugeot Sport engineers, the Peugeot Sport Engineered 508 Concept promises exceptional performances comparable to those of a 400hp internal combustion vehicle. It has four-wheel drive and offers spectacular acceleration, thanks to the combination of three engines: a 200hp PureTech petrol engine and two electric engines with 110hp up front and 200hp at the rear).